Here’s a story for y’all: Today at work, I interviewed the chap who’s the administrator of the Japanese Honda Accord Owners club and forum for a completely unrelated to cars job. He runs it from here in London. He has one of these and was an incredibly nice man. Incredibly nice. 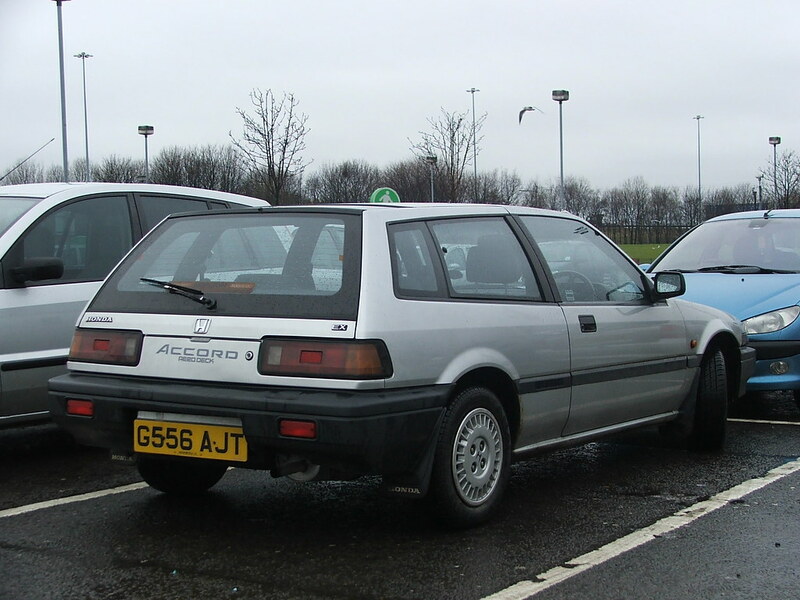 There's one of these in my local scrapyard selling for £450 ono with some mot on it. This one as spotted by CMS a couple of years ago. It didn't look too bad, some rust on the arches and a busted ignition, I think it must have been written off after an attempted theft. Someone save the f*ck out of this! What a fantastic little car! Love the very period wedge shaped rear glass line on these. Top buy! hnng! Arch rot is a bit of a red flag though. Still, that's pretty tempting. How local Shite_Knight - would you be able to have a nose around it? I've had a quick look around it but can always go back with my camera and take some better photos if it's still there. It's less than 5 miles away so no major inconvenience. The only damage I could see was the wires hanging out of the ignition barrel, the rest of the interior was in fairly good condition. Dual reverse collection, on the road again.